All Seminars: Free to Attend | 9:30 – 11 a.m.
Do you have a high-tech startup? How about an early-stage, growth-based business? Are you looking to bring your innovative idea to market? 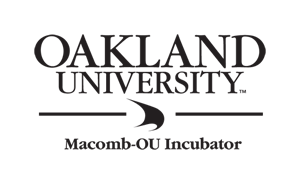 If so, the Macomb-OU Incubator invites you to attend Starting Up, a workshop exploring Michigan’s “entrepreneurial ecosystem,” designed to help you start and/or grow your tech-based business. John Eaton, Mac-OU Inc’s client strategist, will help you navigate the wide range of resources the State of Michigan offers – including business incubators, SmartZones, various support services, university technology acceleration and commercialization, and funding programs – to identify what’s right for you and your business. A brief Q&A session will follow.